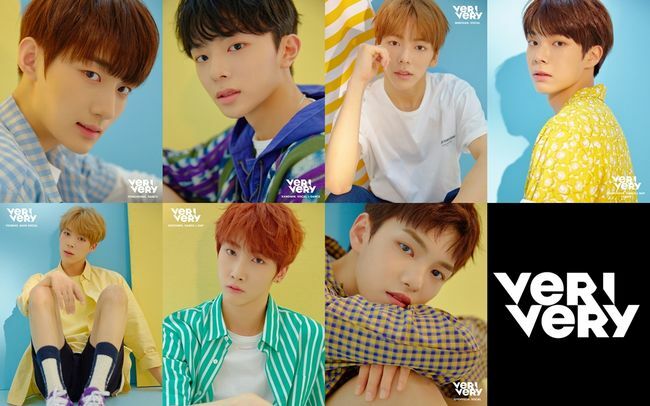 Jellyfish Entertainment’s new boy group VERIVERY is ready to dominate the music market and year 2019 with their grand debut! On December 6, Jellyfish Entertainment officially confirmed the debut of a new boy group VERIVERY. According to the company, VERIVERY is a 7-member boy group, who is ready to follow the footsteps of their successful seniors, such as VIXX and Gugudan. The name VERIVERY is a combination of a Latin word “Veri,” which means the truth, and the English word “Very,” to suggest that this group is the real deal. From producing to performance and visual, the members hope to showcase their unlimited talent and potential to lead the next generation of K-Pop and idols. Jellyfish first introduced the members to the public in September. Ever since then, the members starred in their own reality show ahead of their debut, giving their prospective fans to go through their debut process together. Furthermore, they have also been actively communicating with their fans via social network platforms, hoping to create a rapport that will help them to grow more as the next top idols. At last, they also released an OST to their reality show “Super Special,” allowing a sneak peek at their charms and skills. Meanwhile, VERIVERY is aiming for a debut sometime in January, 2019.